With videos of 1-13 minutes you will receive a lot of animated information, and graphics, about the Electro-Magnetic (EM) fields. As we consist for over 99% of pure energy and information, and for only a fraction of 1% of a temporary physical body, it makes it very logical to work with our energy fields first. Our physical body will resonate with our energy fields. 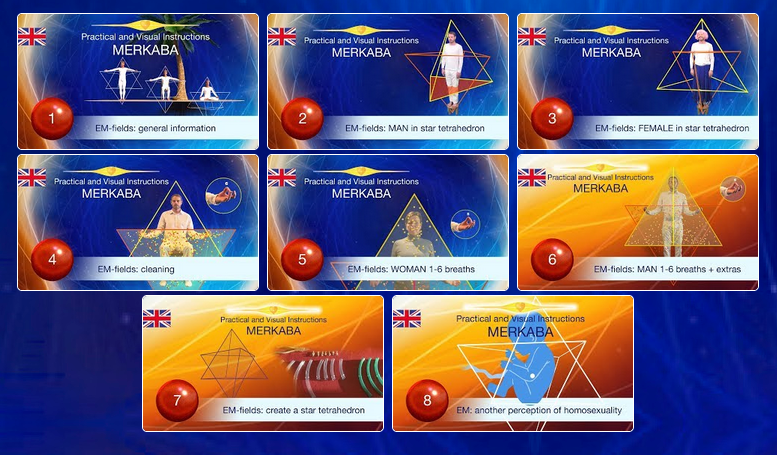 If your EM-fields are in order, the physical body will resonate with them. You can learn how to have these EM-fields in order, how to clean them and in the next chapter, the Blue chapter, you can learn how to provide yourself optimally of prana-energy (vital energy). Unfortunately, the EM fields of most humans are deformed by shocking events. You can learn to put your own energy fields in their proper proportions and to clean them. Everyone can learn this! With the 8 videos of the Red Chapter you can learn this in a very simple and visual way. I have added unique animations -designed by myself and executed together with ‘my’ Motion designer. You will learn to understand these (your) energy fields. See the eight video’s and especially video 8 (image with the 6 green spheres). Then you learn to restore them to their official measurements. You learn -with 6 breaths- how to clean them, which process you can compare with physically going to the bathroom. The first video: general information about our Electro-Magnetic fields, and I will give extra information for all sexes. 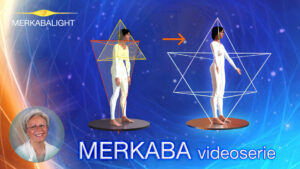 The second video: a man inside the star tetrahedron which form looks like the star of David, but three-dimensionally. The third video: a woman inside the star tetrahedron, and again I will give additional information that is useful for everyone. The fifth video: explaining how to clean your Electro-Magnetic fields with a standing woman (first 6 breaths). The sixth video: explaining how to clean your Electro-Magnetic fields with a standing man (first 6 breaths). The seventh video: demonstration and explanation how to build a star tetrahedron (for yourself or others). The eighth video: it is very short. I give another vision about homosexuality and lesbian based on the knowledge of the Electro-Magnetic fields. If you need more literature, you can consult volume 2, chapter 13 of: The Ancient Secret of the Flower of Life, written by Drunvalo Melchizedek. Everybody can learn to work with his/her own energy fields. You don’t need any specific schooling for doing this. I have worked with an-alphabets and professors and everybody understood it. In the next chapter, the Blue chapter, you will learn to energize yourself optimally.